The Target Saver: Target: Pillsbury Refigerated Baked Cookies - As low as $1.06 ea.! Target: Pillsbury Refigerated Baked Cookies - As low as $1.06 ea.! Going to Target this week? 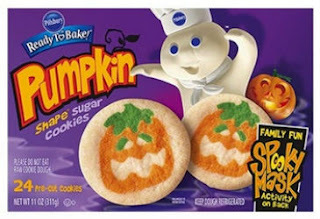 Be sure to print the $1/2 Pillsbury Refigerated Baked Goods printable coupon and take it with you to stock up on Halloween ready to bake cookies! These will freeze well until you are ready to use them.